I really wanted to like the new a/k/a Bistro in Pasadena, because the building has sat empty for over two years when Gordon Biersch closed their doors. It’s next to the Gold Cinemas and Il Fornino. Also, it’s the same owner of Bistro 45 over on Mentor. Unfortunately, even though it is pretty enough to be a dinner hot spot, the menu lends itself to more of a lunch eating place. Granted it’s bar food, however many establishments in Hollywood are creating magical and innovative bar food dishes. It lacked the zip to want us to run back for more. 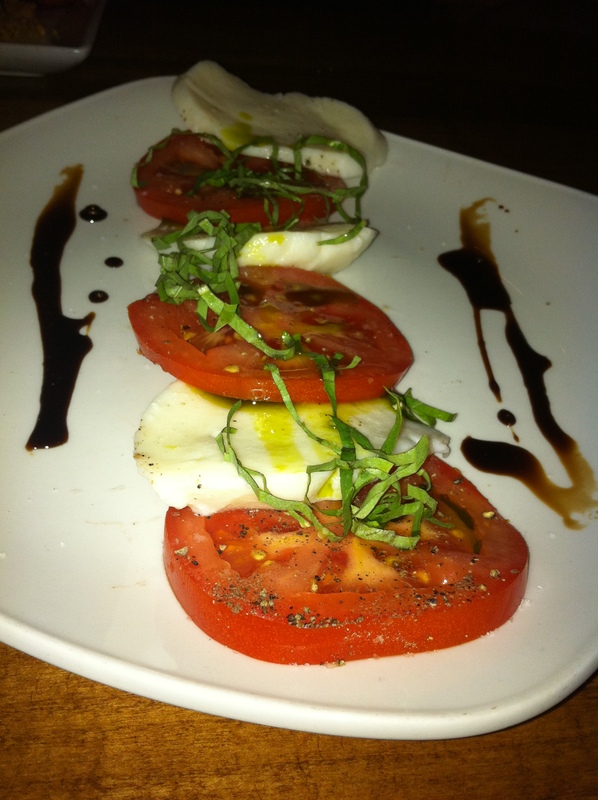 The Caprese salad was pretty, but nothing out of the ordinary. Our friend, Mitch, ordered the a/k/a/ Rueben sandwich that arrived with a tower of steak fries and a thin Rueben sandwich that lacked a lot of meat. My roasted game hen salad arrived looking like a ladies lunch chicken salad. It was tasty with bulgar, avocado, cucumber, dried fruit with a balsamic lemon vinegar. For dessert the upside down blueberry tart lacked the tart appearance and was more of a cake and the butterscotch pot du creme was too sweet and didn’t offer enough salt to produce that WOW experience. 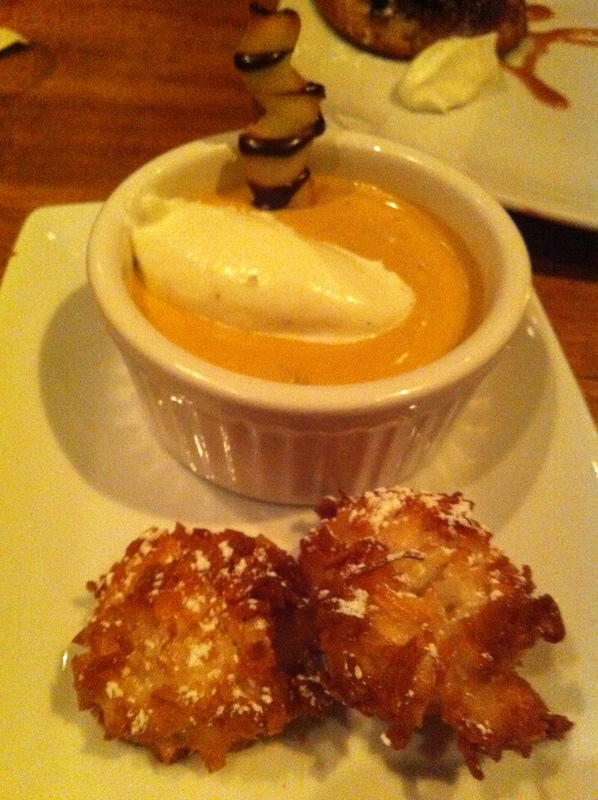 I did like the two housemade macaroons. As we left around 9:15 there were only a handful of patrons dining inside and a few more out on the front patio. For a Saturday night, I was expecting a larger crowd. Maybe they need to get the word out that they are open. Or maybe they have and restaurant goers are going somewhere else in Pasadena. With food service at the Gold Cinemas, they can’t rely on the movie going crowd to come for a bite to eat before or after the show. I urge the chef to keep his menu for the lunch crowd and to revamp his menu to appeal for a dinner crowd.